I have been using this twice a day and have started to notice lightening of my hyperpigmentation. It is great for dry sensitive skin! Even using twice day, I have not experienced any dryness or redness like I have with other lightening products. I've been on Retin-A for about 10yrs with great results but I need extra help on my Melasma spots on forehead. I've been using Pigment Corrector for several months and can see the difference, but you must be patient because it takes time for the spots to fade. Also, this product is gentle on my sensitive skin and doesnt have the bad side effects of Hydroquinone. Spring is here with higher temps and sun, and my spots already want to come back...but this year I have Pigment Corrector and it'll be harder for spots to return. 2nd bottle, still love it! Only use in AM, though, because I have very sensitive skin and it can be drying. A good moisturizer at night has kept my face glowy and almost spot-free. I just finished my first bottle and already have a backup. This product is my newest love. I have Melasma on my forehead and have been on Retin-A for a decade. (I'm 49yo). My skin is super sensitive but this product does not irritate it, maybe because I only use it on AM; it does make your skin feel dryer after weeks of use but a good moisturizer at night takes care of that. I apply it after C serum, follow with Retexturing Activator and sunscreen. At night, Retexturing Activator and Emollience cream mixed with the Retin-A. My skin looks healthier and the spots have faded a lot already so I'll make this my Spring/Summer staple. I like this a lot but it is strong. I was using IS Clinical and not seeing great results. My spots are fading.....slowly...of course they have been there a long time. I have noticed that daily use makes me too dry, too peel-y. So had to cut back on usage. Hopefully, I will continue to see results. I've been fighting Melasma on my forehead for decades, and had amazing results with Obagi 15yrs ago but can't tolerate Hydroquinone and have been searching for a substitute ever since. 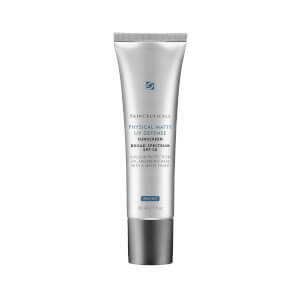 This product may be "it"- goes on smoothly, absorbs fast and has a matte finish so the sunscreen goes on smoothly over it and my face doesn't shine at all, no matter how hot the day. 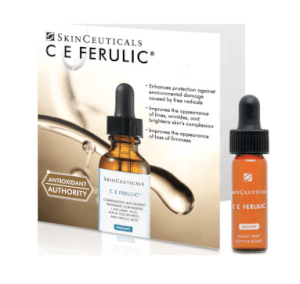 I use CE Ferulic, then Retexturing Activator, then Pigment Corrector. So far I can see it working, breaking the spots into smaller spots so I'll buy another tube and keep at it. Only problem is my skin is sensitive so I can't use it at night or when the weather turns cold- skin gets red and dry. It'll take longer, but I think I can get rid of the dreaded spots! I've been using this product for a few weeks and it seems to be helping my discoloration. The sun spots on my hands are starting to fade. I use a little bit everynight at bedtime. I have been using this product on my husbands dark spots and discolorations and so far we are seeing very good results. His spots seem to be getting lighter and less noticeable.